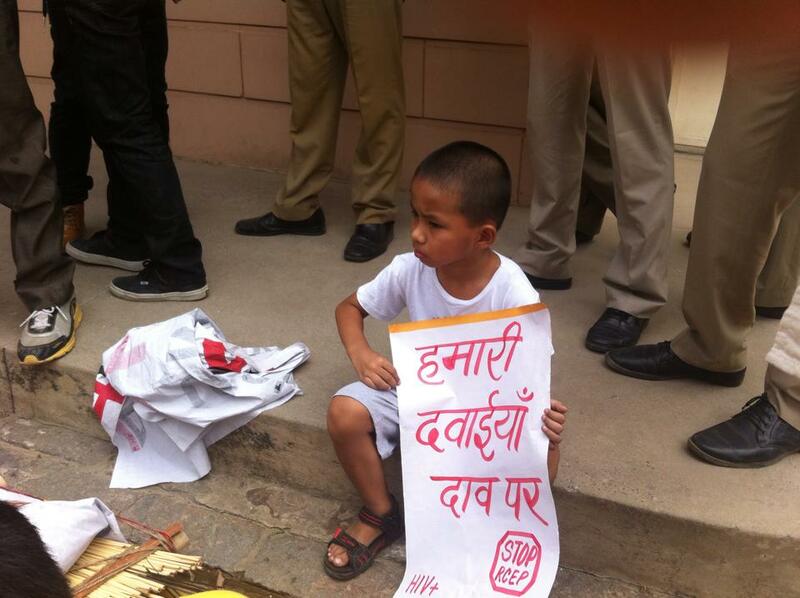 11 June 2015, New Delhi—As the eighth round of negotiations on the Regional Comprehensive Economic Partnership (RCEP) trade agreement take place in Kyoto, Japan this week, farmer’s groups, trade unions, civil society and patient groups are urging the Indian Government to halt the negotiations, make the negotiating texts public and hold consultations with all the relevant stakeholders, in light of the potential negative impact this agreement could have on access to medicines, livelihood of farmers, quality public services and overall social and economic development of the country. 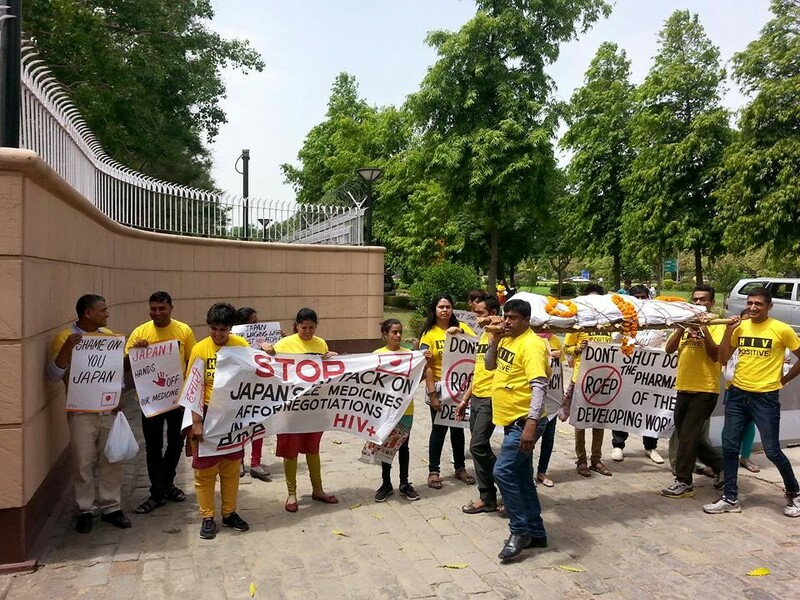 Patient groups including Delhi Network of Positive People (DNP+) along with International Treatment Preparedness Coalition-South Asia rallied outside the Embassy of Japan in New Delhi to send a signal about the dangers the trade deal poses to access to medicines. Started in May 2013, the RCEP is being negotiated between the 10 ASEAN (Association of Southeast Asian Nations) countries and six trading partners, Australia, China, India, Japan, New Zealand and South Korea. Several countries involved in negotiations on RCEP, including Japan, are also participating in another potentially harmful trade deal known as the Trans Pacific Partnership (TPP) Agreement being led by the USA, and will push for harmonization of RCEP with TPP. There are already widespread concerns about the implications of the TPP on future policy space for industrialization, access to medicines, internet freedom, environment, and the right of the government’s to regulate in public interest. The TPP is being severely opposed by civil society groups, trade unions and people’s movements worldwide. “We have learnt through leaked texts that Japan and South Korea in closed-door negotiations, are aggressively pushing for stronger intellectual property (IP) provisions such as patent term extensions, data exclusivity and lowering of the patentability criteria. If accepted, these provisions would extend monopoly protection beyond what is required by existing international agreements and create new kinds of monopolies, even after patent-based monopolies have expired or in cases where they never existed to begin with. 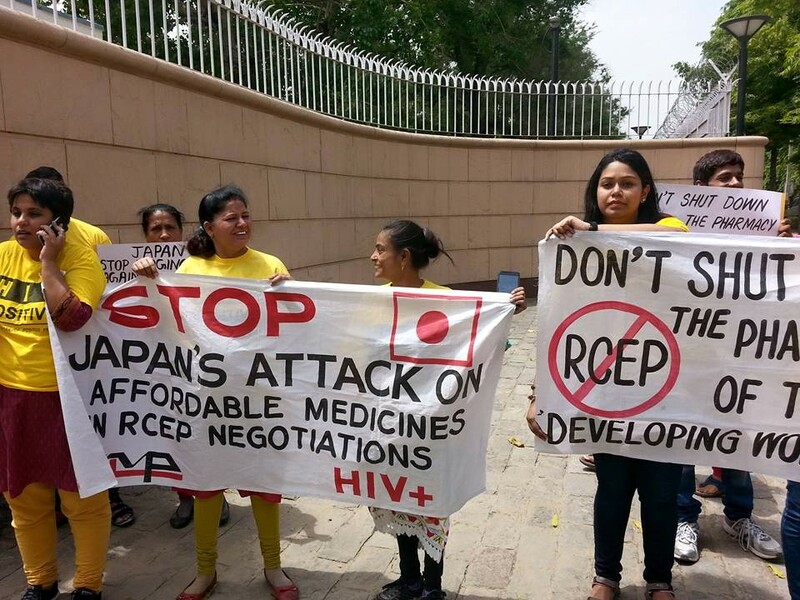 We had expected RCEP to be the antithesis of the Trans Pacific Partnership Agreement (TPP) that seems to serve the interests of the multinational pharmaceutical corporations, but in fact, the leaked RCEP negotiating text appears to be a carbon copy of the worst IP provisions of the TPP that seek to stamp out generic competition and restrict access to affordable medicines to millions of people. 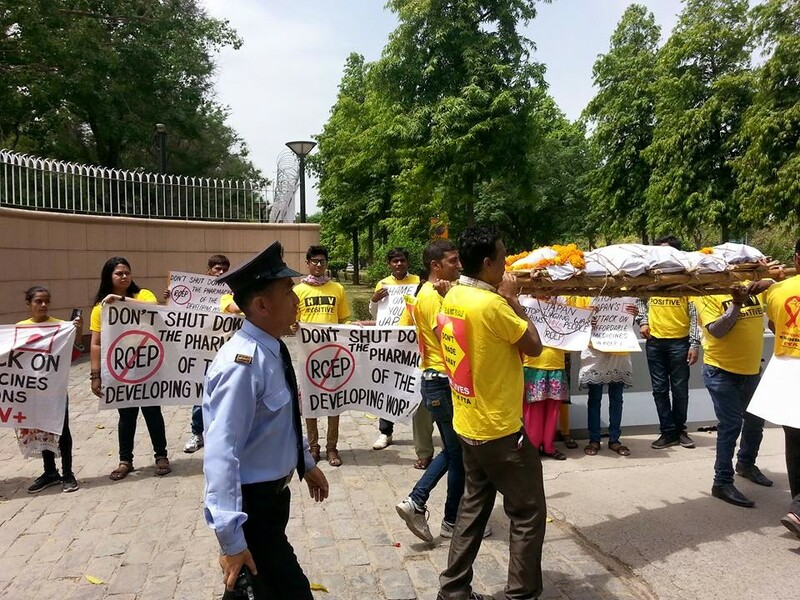 “The leaked IP chapter of RCEP proposes all its members to either accede to or ratify over a dozen international IP-related agreements, including the International Convention for the Protection of New Varieties of Plants (better known as UPOV) and particularly its 1991 version which gives primacy to corporate plant breeders, putting restrictions on farmers to save seed and researchers and breeders to access protected plant varieties for further research and development only on prior permission and payment of royalties to the breeder. India has intentionally kept out from the UPOV 1991 Act to ’protect’ small farmers and non-corporate breeders, allowing them to register varieties bred by them and also to seek ’benefit sharing’ if the varieties developed by them are used as base material by the seed industry to make new seed products. RCEP membership will have serious implications for the domestic law on the protection of plant varieties and farmer’s rights. “It will be good to remember that at the beginning of the current government’s term, our Commerce Minister Smt. Nirmala Sitharaman had stated that the government will review all its FTAs to assess their impact. It is unfortunate that even before concluding this review the government is going forward with an FTA of such scale and depth.